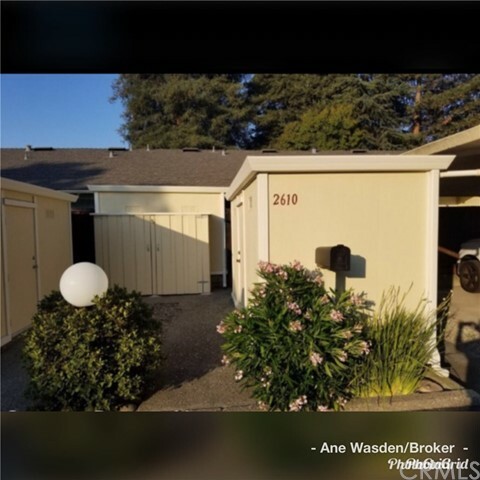 All San Ramon homes currently listed for sale in San Ramon as of 04/21/2019 are shown below. You can change the search criteria at any time by pressing the 'Change Search' button below. If you have any questions or you would like more information about any San Ramon homes for sale or other San Ramon real estate, please contact us and one of our knowledgeable San Ramon REALTORS® would be pleased to assist you. "HUGE $100K PRICE REDUCTION !! WELCOME to this gorgeous single family home that was built only 2 years ago by Toll Brothers in Gale Ranch. This beautiful home features soaring ceilings, 4 bedrooms, 4 baths , plus a huge bonus media room. One bedroom and one full bath downstairs. Approximately 3243 sq ft of living space on an oversized over 9000sq.ft premium lot backs to open space and beautiful view of hills. Gourmet kitchen with walk-in pantry with additional fridge, stainless steel appliances, large center island with bar seating. Fantastic master offe amazing view, shower with frameless glass enclosure, tile flooring, dual vanities and a large free stand soaking tub. Family room and kitchen opens up to ample backyard with golf putting green to sharpen your skills! Located within minutes of Award winning schools, (Coyote Creek Elementary, Gale Ranch Middle, Dougherty Valley High) the new city center, shopping and restaurants." "Location! Location! Location! Highly sought-after Deerwood Highlands home in west side San Ramon with a great floorplan. Top rated schools, close to shopping and amenities and ideal for commuters with easy 680 freeway access! This updated detached home located on a peaceful street, provides four bedrooms, two and a half bathrooms, open concept living and family room, formal dining room, high ceilings, natural light, and backyard that backs on to an open space and views of hillsides!" "Charming home nestled in the quiet Windermere Community which boasts lovely manicured yards. Walking distance to San Ramon Valley schools. Dual EV Plugs in garage, Security system. Front door direction is North"
"Gorgeous duet town home, one-of-a-kind, has been remodeled with a flavor of European elegance! The open floor plan has great natural light which flows through spacious living and dining areas. Features include a marble-faced fireplace, recessed lighting, crown molding, gleaming marble flooring. The beautifully designed kitchen boasts maple cabinetry, granite counters and breakfast bar, in a warm rich palette, and stainless appliances. Double doors from living & dining rooms open out to expansive patios. All 4 bedrooms are on the 2nd level and include a large master suite. Each bedroom has gleaming hardwood floors large closets and tasteful baths with tile walls & flooring. The amazing outdoor space will inspire you! Landscaped, paved and private, it provides the intimate experience of an Italian retreat. Beautifully designed patios, complete with a fountain, surround the home & provide a setting for morning coffee, private dining or grand celebrations! All this near great schools!" "Welcome to this Luxurios Condo; It is located on the Prime location and Top rated school. It has been full upgraded, very nice largeTwo Master Suits. Upper unit with Vaulted ceilling, Wood burning fire place New furnane and A/C , All new Stanless steel appliances. buyers will fall in love with it. It is near by Bishop Ranch Business Park, Shoppings, Restaurants, Center Park. MInutes to Free way and Canyon Lake Golf Course. Sellers would like AS IS sale. Easy to show: . Sellers will do 1031 Exchange with NO Cost to Buyers." "Single Story Condo. Great San Ramon Location. Rare opportunity!" "Single level condo in great location! New paint and carpet." "Beautifully remodeled, move-in ready 2 bedroom, 2 bathroom ground floor condo. The kitchen offers quartz counters and newer stainless-steel appliances. Other features include a walk-in master closet, a completely remodeled master bathroom, beautiful laminate flooring throughout, double-pane windows, fireplace in the living room, a pantry with room for a full size side-by-side washer and dryer and a lovely patio with a storage closet. Includes 1 assigned carport spot with ample guest parking. This is an amazing complex with a pool, many water features and a clubhouse, all conveniently located near shopping, Iron Horse Regional Trail, Central Park, City Hall, San Ramon Library, City Center Bishop Ranch and Highway 680." "Open house 1-4pm , 4-14-2019, Built in 1989~~ 657 sq ft~Gated Community, Next to Club Sport, Dual Pane Windows, Crown Molding, 2nd floor, Granite Countertops, Stainless appliances, Inside Laundry, washer+dryer+refrigerator stay, Central A/C"